8 – Know where to find the location. The restaurant is located right on Disney’s Boardwalk. The area is full of life and excitement on a real Boardwalk overlooking the water like you would find in New England areas. 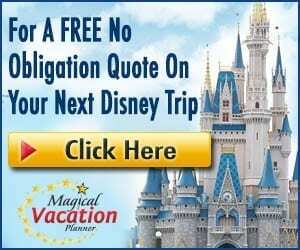 7 – How to use Disney transportation to get to the restaurant. 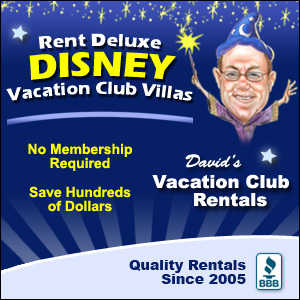 If you are staying at a different resort than Boardwalk Inn, you will be able to get to the location a couple different ways. You can take an available mode of transportation to get to Disney’s Hollywood Studios or Epcot and then take a boat from those parks over to Disney’s Boardwalk. You could also drive, take a taxi or take one of the new Minnie vans if you want a direct route. 6 – The restaurant is only open for the dinner service. The restaurant is amazing and has a delicious menu of exciting culinary items. Sadly, the restaurant is only open for dinner service with guests being seated from 5 PM to 9:30 PM. There are no breakfast or lunch services at this particular location. 5 – There is a dress code at the restaurant. The restaurant does have a dress code that you have to adhere to when you dine at the location. According to Disney’s website, men are expected to wear khakis, slacks, jeans or dress shorts with a collared shirt. Women are expected to wear capri pants, skirts, dresses, jeans or dress shorts. The restaurant also does not permit tank tops, swimsuits, swimsuit cover-ups, hats for gentlemen, cut-offs, torn clothing and t-shirts that are offensive in nature. 4 – The restaurant is a little higher on the pricey side. The location isn’t one of the most expensive you can dine at while in Walt Disney World but is definitely not one of the cheapest either. The prices for the entrees range from around $40 – $55 before you factor in appetizers, drinks, desserts, etc. You will definitely want to plan ahead in the budget for this one. 3 – There is a Chef’s Tasting Wine Dinner Offered. This is a special event where up to 6 guests can be accommodated. 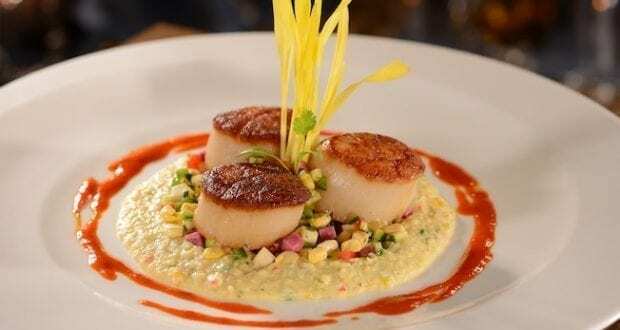 The meal is a 5-course prix fixe menu that is served with delicious expertly selected wine pairings. The event is only for guests that are ages 10+ and must be booked at least one day in advance. It is a pricey event, but well worth it for all of the foodies out there. 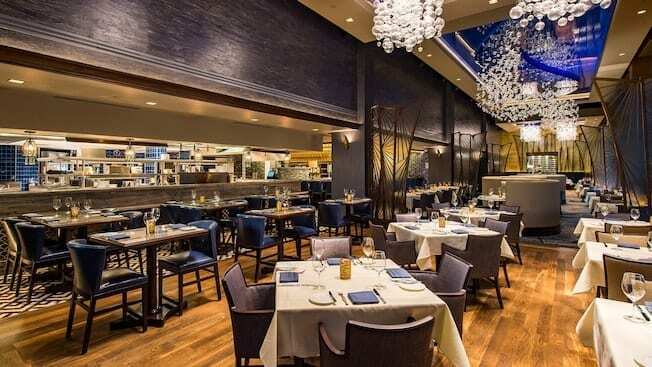 2 – The restaurant is a contemporary American themed restaurant with tons of seafood and steak options. The menu is absolutely amazing! You will find a wide variety of seafood dishes including various types of fish, lobster dishes, shrimp and more. You can also find Wagyu beef and veal entrees on the menu prepared with fresh flavors and ingredients that will have your mouth watering. You won’t want to skip the appetizer round, either. The Lobster-Piquillo Bisque is one of my absolute favorite bisques that I have had. It is a must-have for me when we visit, along with the Lobster pasta. 1 – Be sure to save room for dessert. The desserts are so unique and exciting. These are definitely not your run of the mill desserts, so you will need to be sure to save room so that you can sample. I always advise guests to each get a different dessert so that you can share and sample them. 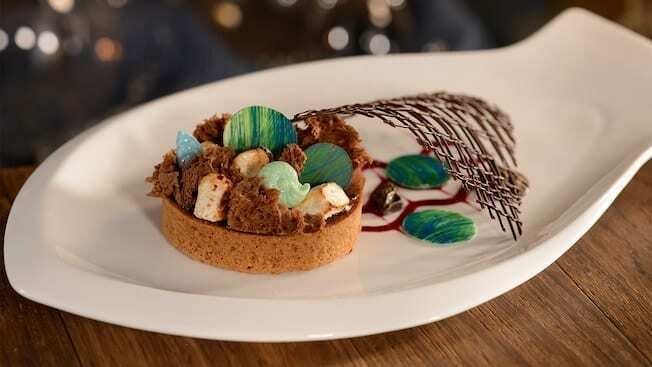 The Under the Sea dessert is my favorite with a combination of cake, pistachios, and milk foam to create an under the sea look with a sweet taste. The Chocolate-Banana Napoleon is a second favorite, which is a banana-raspberry mousse with a vanilla-rum-caramel sauce on it. The flavors are decadent and each bit is utterly smooth. You definitely have to give them a try!